Shop Hosa WTI-508 Hook and Loop Cable Tie Set 50 Pack from AMS and enjoy Fast & Free Shipping. 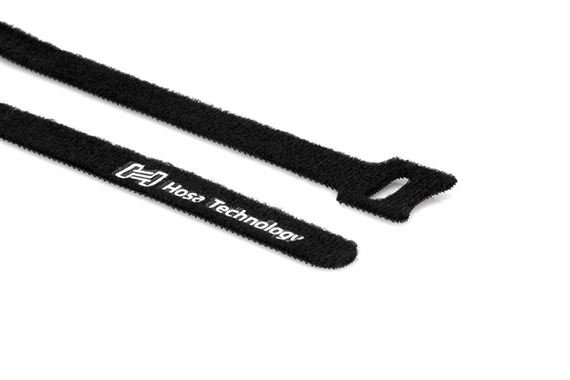 The WTI-508 hook and loop cable tie provides good cable management which is important to good sound quality. These hook and loop cable ties make it easy to keep signal and power cables separated and kink free for a stronger signal chain. Very well made to wrap up your chords after your gigs. Awesome !!! I bought these with one thing in mind ?? Who wants there Chords all tangled up after a Awesome Performance on Stage. I sure don't !!! A Must for keeping accurate accountability of your Chords , Keeping the mess as little as possible. Great Buy !!! Not too wide, really good adhesion, and long enough for big coils. Worth their weight in gold but thankfully not priced that way. They work great and a time saver! Works amazing. One of the best investments you will ever make. Some of the best Velcro ties I have used.